Nationals Day 3 Complete! On to the Semi-Finals! Despite surfing a loss earlier today, the 01 Elite Girls move on to the next round of play! The game today may have resulted in a loss, but this tournament run is far from over! 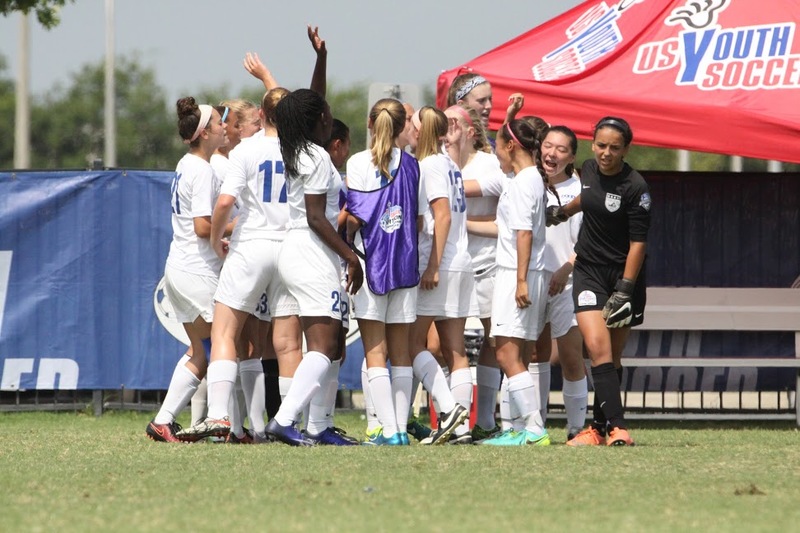 The BRYC 01 Elite Girls lost their game today in the US Youth Soccer National Championships. They fought hard against the defending champions, PSG MI Gators 02 Orange, yet ended up relinquishing a goal--resulting in the 0-1 defeat. But despite that result, the Elite's phenomenal performance pushed them through to the next round of play! Even with the loss, they remained unshaken at the top of the bracket. They will move on to the semi-finals, where they will face off against the USA Stars 02 at 10:30am(EST) on Saturday the 30th! The game will be live-streamed, so be sure to tune in and cheer on the girls as they play!